Investigators at UCLA have demonstrated that tea, and in particular black tea, may promote weight loss and other health benefits by changing bacteria within the gut. Findings from the new study—published recently in the European Journal of Nutrition, in an article entitled “Decaffeinated Green and Black Tea Polyphenols Decrease Weight Gain and Alter Microbiome Populations and Function in Diet-Induced Obese Mice”—show that in mice black tea alters energy metabolism in the liver by changing gut metabolites. Interestingly, the study found that both black and green tea changed the ratio of intestinal bacteria in the animals: The percentage of bacteria associated with obesity decreased, while bacteria associated with lean body mass increased. “The results suggest that both green and black teas are prebiotics, substances that induce the growth of good microorganisms that contribute to a person's well-being,” Dr. Henning noted. Previous studies have indicated that chemicals in green tea called polyphenols are absorbed and alter the energy metabolism in the liver. The new findings show that BTPs, which are too large to be absorbed in the small intestine, stimulate the growth of gut bacterium and the formation of short-chain fatty acids, a type of bacterial metabolites that have been shown to alter the energy metabolism in the liver. · High-fat, high-sugar and black tea extract. Amazingly, the research team found that after four weeks the weights of the mice that were given green or black tea extracts dropped to the same levels as those of the mice that received the low-fat diet throughout the study. Moreover, the investigators collected samples from the mice's large intestines (to measure bacteria content) and liver tissues (to measure fat deposits). In the mice that consumed either type of tea extract, there was less of the type of bacteria associated with obesity and more of the bacteria associated with lean body mass. 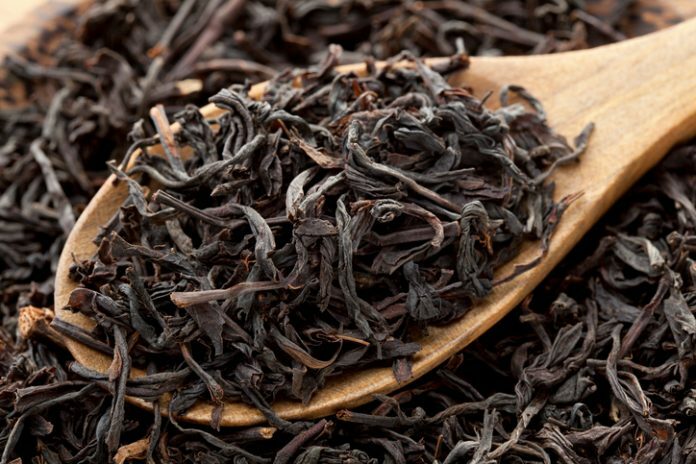 “For black tea lovers, there may be a new reason to keep drinking it,” concluded senior study investigator Zhaoping Li, M.D., director of the UCLA Center for Human Nutrition and chief of the UCLA Division of Clinical Nutrition.